Arsenal took a huge stride towards the last 16 of the Europa League with a comprehensive 3-0 victory over Ostersunds at the Jamtkraft Arena. Nacho Monreal's first ever European goal (13) and a Sotirios Papagiannopoulos own goal (24) got the Gunners off to the perfect start before Mesut Ozil (58) wrapped things up with the third after the break. Ostersunds could have grabbed a late consolation but captain David Ospina saved Tom Pettersson's tame stoppage-time penalty to ensure Arsenal hold the advantage ahead of next Thursday's return at the Emirates. Ostersunds: Keita (3), Mukiibi (4), Papagiannopoulos (4), Pettersson (4), Widgren (5), Edwards (5), Nouri (4), Mensah (5), Sema (5), Ghoddos (7), Gero (4). Subs: Tekie (5), Bergqvist (5), Hopcutt (6). Arsenal: Ospina (7), Bellerin (5), Chambers (6), Mustafi (6), Monreal (7), Iwobi (6), Elneny (6), Maitland-Niles (6), Mkhitaryan (7), Ozil (7), Welbeck (6). Subs: Kolasinac (5), Nelson (5), Nketiah (5). With sub-zero conditions and a 4G pitch to contend with in Sweden, Arsenal's ability to adjust to their surroundings was questioned ahead of kick-off, but the Gunners settled immediately on their way to a dominant start. Ostersunds' last competitive game was in December and it showed against a slick Arsenal attack, who would have taken a 12th-minute lead had Papagiannopoulos not blocked Henrikh Mkhitaryan's goal-bound effort off the line. But the Arsenal pressure told a minute later as goalkeeper Aly Keita fumbled a tame Alex Iwobi shot into the path of Monreal, who stroked home from six yards. Mkhitaryan stung Keita's palms with an 18-yard drive on 16 minutes as the Gunners smelt blood, and the Armenian had a hand in their second as his drilled cross cannoned in off Papagiannopoulos. The two-goal deficit kicked Ostersunds into gear as the bright Saman Ghoddos stung Ospina's palms with a volley on 29 minutes, but there was still time for Danny Welbeck and Mkhitaryan to spurn chances before the break. Arsene Wenger made five changes following Saturday’s north London derby defeat. Goalkeeper David Ospina returned to captain the Gunners, while there were starts for Calum Chambers, Ainsley Maitland-Niles, Alex Iwobi and Danny Welbeck. Graham Potter made two changes at half-time but Ostersunds were soon three goals down as Mkhitaryan played in Ozil - who was making his first Europa League appearance of the season - and he drilled a shot through Keita's feeble attempted save. Ghoddos was the one bright spark for Ostersunds and it was the Iran international's pass which led to Hector Bellerin fouling Tesfaldet Tekie in the area, but Ospina denied Petterson's spot-kick to complete a thoroughly professional performance. Arsenal are now unbeaten in eight away games in European competition against Scandinavian opposition (W6 D2). Arsenal have won the first leg in the knockout stages of a European fixture for the first time since February 2011, when they beat Barcelona 2-1 in the last 16 of the Champions League (excluding play-offs). Ostersunds have lost their first home Europa League match in what was their seventh fixture in the competition (W5 D1). Nacho Monreal has now been directly involved in five goals in his last six games for Arsenal in all competitions (three goals, two assists), as many as in the previous 64 matches combined. Arsene Wenger has visited Sweden twice in European competition while in charge of Arsenal - on both occasions he has been victorious over an English manager (Graham Potter, 2018; Stuart Baxter, 1999). On a night where Arsenal's attacking contingent were given free reign by Ostersunds, Mkhitaryan just outshone his team-mates. The Armenian so nearly scored the opener but went on to have a hand in the Gunners' second and third as took his assist tally since joining the Gunners to five in four appearances. 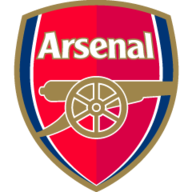 Neither Ostersunds or Arsenal are in action before the two sides meet in the return leg at the Emirates on February 22.